Plant bug (Capsodes gothicus) on a plant stem. 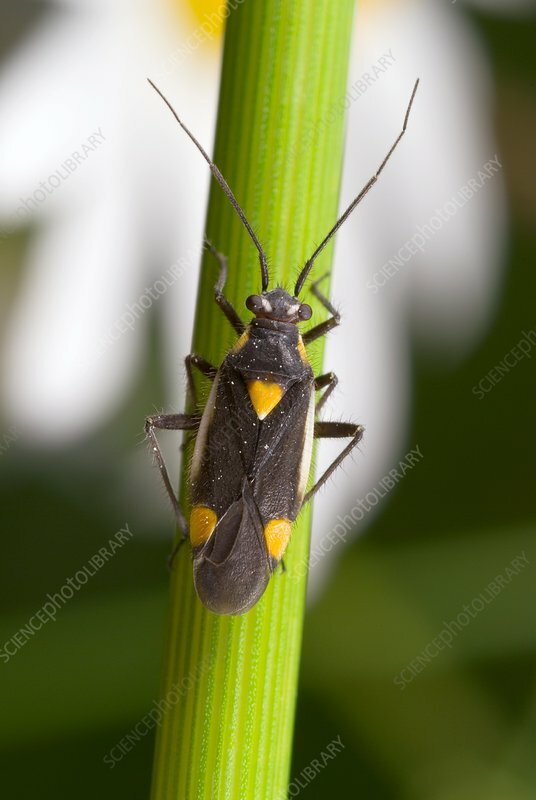 Plant bugs are small terrestrial insects, most of which are known to be agricultural pests. Photographed in Poland.